After the Easter baskets are raided and the ham is consumed, it’s easy to just veg out for the afternoon. 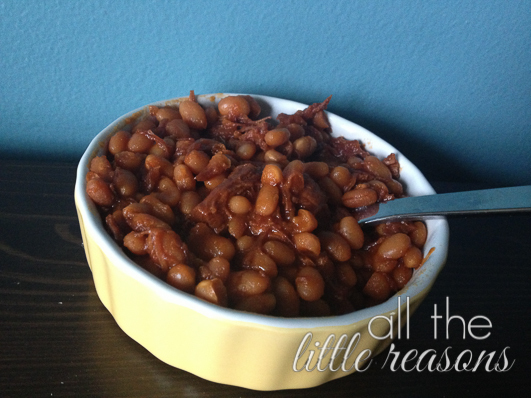 But before you prop your legs up, grab your scraps from the freezer and throw your ham bone in a pot on the stove to make ham stock — the beginning of the most deliciously sweet boston baked beans! This meal isn’t much to look at. It doesn’t photograph well at all! BUT it was a dinner my whole family loved! If you’re a mommy, you know that it’s few and far between to get everyone on board to agree that a meal is amazing. This is one of those.